Care, which is based on oils is well-known for many centuries. For some time, women lost interest in natural oils. However, they are slowly returning to favour. More and more people are willing to replace many cosmetics with natural care. Let’s have a closer look at oil from raspberry seeds. What this fruity oil has to offer? Why raspberry seed oil belongs to a group of so-called bio-oils? Cold pressed and unrefined raspberry seed oil contains up to 80% essential fatty acids. It really is a very high concentration, especially when we take into account how much of Essential Fatty Acids appear in other vegetable oils. The difference is enormous. What is more, we will also find vitamin E in two forms: popular tocopherol and more unique gamma-tocopherol. Apart from that, the oil of raspberry seeds contains other strong antioxidants, for example carotenoids and flavonoids. Raspberry seed oil is a completely natural product that is cold pressed for a simple reason. This way of pressing guarantees the freshness and durability of oil. It is worth mentioning that the raspberry seed oil is very stable, which means that it does not change its properties. Additionally, it is suitable for preserving and fixing other oils, for example in homemade cosmetics. Is it worth to use raspberry seed oil in care? There is no doubt about the fact that raspberry oil is extremely valuable. Such product is best suited for sensitive skin and prone to allergy, but not only. Due to the lightweight and highly absorbing consistency, it may also be applied on hair and nails. However, raspberry seed oil is relatively expensive, therefore, it is a matter of personal choice, whether you want to invest in such purchase. Taking into account all the properties of essential oil of raspberry, it can be recommend for skin and hair almost for everyone. Of course, unless we are allergic to that fruit, but it does not happen too often. 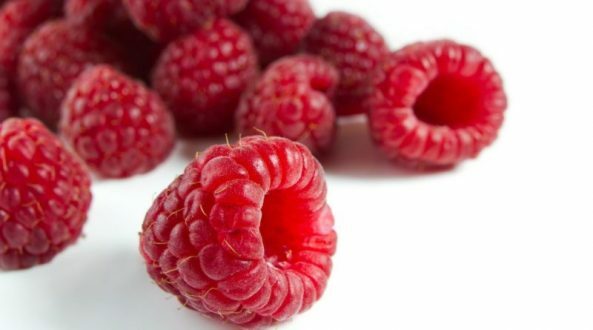 Raspberry seed oil can be successfully used for skin care, for example during a massage, after epilation or waxing and even during sunbathing. All thanks to the unique soothing properties and highly effective UV protection.